I had a lot of fun playing the original Teeny Titans GO! and wrote a comprehensive walkthrough guide here. Well, now the sequel is out, called Teen Titans GO! Figure! (Get it?) So once again, I’ll be helping you complete all the difficult missions and find all the hidden items. If there’s anything else you need help with, just ask in the comments section, or offer your own tips. – First off, the game has a lot in common with the original, so I recommend reading this guide if you haven’t played it before. – This game feels harder than the original, unless I rushed through things too quickly. But the first tournament I came across felt way too hard for me. Perhaps spend time in Jump City leveling up your figs before trying the first tournament or moving on to Metropolis or Gotham City. – Pay attention to sparkling spots on the map. They usually give you either a nice chunk of change or a figure. – The Riddler’s shop is basically full of loot boxes. There were no in-app purchases (IAPs) in the original game, but now you can buy eggs that are filled with random figures, and other items. – You can now paint your figs different colors, but they require Rainbow Coins. Some are found just by playing, but you can buy them, too. – Look for purple stars around the map to get side missions. These give you extra coins and sometimes free figs, too. They also sometimes show you where your mission goals are. – Some characters and events are only accessible at night or during the day. – If you played the original Teeny Titans, you can get a free Hooded Hood figure in Teen Titans 2. Just have both games installed and go to Titan Tower in the first game, which will then send you to the second game. You get another special figure (Mr. Chibi) if you complete the first game. You can see more on that here. 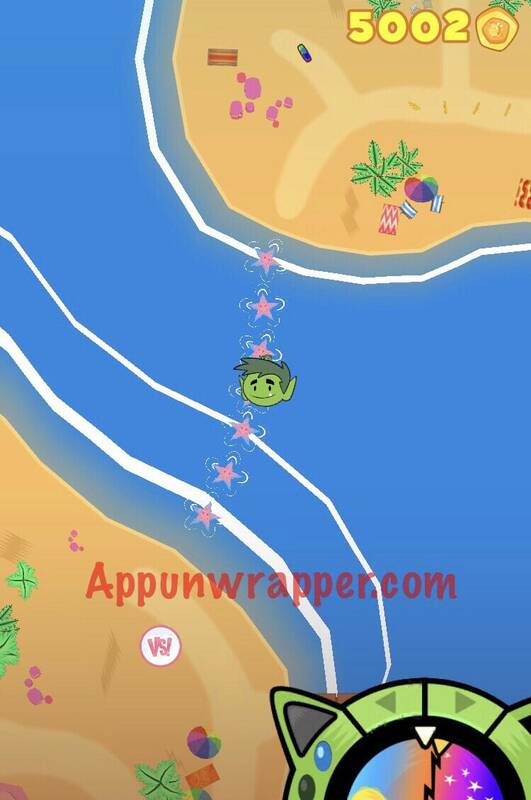 – You can reach Aquaman’s island by tapping on the sparkles in the water by the beach. Do it once every in-game day to reveal a starfish. Once you have seven, you can cross over to the island. – I’ll be back with more tips as I think of them! I’ll be adding to this as I play more. But here are some missions you might need help with. Collect 10 Teeth – You get this quest from the Tooth Fairy in Jump City, but you have to collect teeth in Gotham City. Just tap on 10 random people and extract their teeth. Dog Mail – If you need someone to translate dog mail for you, go to the Jump City Park at night and talk to Dog Man. I’m working on a Figure Locations guide here. And feel free to add your own tips in the comments section. Where do I get the other radical figs? Can we get the Justice League figs (Superman, Batman and Wonder Woman) without paying real money for them (in the Riddler shop)? According to the devs, you should be able to get all the figs without paying real money, but it may take more persistence and/or luck. You have to beat Martian Manhunter’s tournament in the Hall of Justice to get his shop (you’ll also get a Martian Manhunter fig). He has Batman, Superman, Wonder Woman, and Martian Manhunter for sale. Batman and Superman are $15,000 and WonderWoman was $9,000 I believe.. Still don’t know where flash and a few other figs are. Do you need to have the 100 figs all with you? Some things differ from day to night. I forget which is which, but a dialogue will trigger if you approach the lounge at a certain time. At least I think that’s what did it, because I was running into the same issue as you until I wasn’t. I did it last night finally. As others have mentioned it’s at night but I had to do the tournament again which was quick with high level all gold skill figs. Then after you do the tournament you try to go back into the lounge then the Penguin will talk to you where you need to battle him. After the fight with Penguin, you then go find Perry White in Metropolis and after some dialogue he will give you the Kryptonite Accessory. Mission Accomplished! Buy two lady figs and say they are for a quest, then go to the easter bunny in metropolis and chat with him, he will say “For me?” and then you would give him your two figs. How do I complete the daily mission of: “ buy 2 lady figs and deliver them to the Easter bunny”? I can’t figure it out either!!! I need to find Batman! Does anyone know where he is? Go to Wayne Manor and find the bathroom. Tap on the toilet and a hole will appear. Walk through the hole and you are teleported to another area. When you get there defeat Bat Cow and then walk forward and tap the purple pole. You will be teleported to a room and bat man will apear. How do you do the daily mission. Buy 2 lady figs and deliver to the Easter bunny? Yeah, I bought as many female figs as I could and nothing. So, I think it’s a bug. hopefully, they’ll address it in an update. Where can I find superman? I need find Superman!! Does anyone know where he is? You mean by the movie set? You need to first get a pass from Booster Gold. i tried a lot of characters so far, and black lightning seem to be the strongest character (in general). At level 10, move skill that electrocutes to skill 1 and attack that always hits to skill 2. His skill 1 charges really fast and electrocutes. At level 20, with a figure with starting skill of +1 atk and +3 atk mod chip, his skill 1 hits 12 points damage. And level up some on luck, he’s insanely OP. I think it’s the best one too. Does anybody know where to get the B’wana Beast figure and Crocs? I’m trying to fill this in but there’s so much grinding involved in this game compared to the first one and I keep losing interest. If anyone wants to help fill in the ones I’m missing, let me know. I’m still looking for B’wana Beast (60), Crocs (67) and Darkseid (76). If anybody knows where they are located, it would be very appreciated. These are the only ones I can’t seem to find. Where did you find Batman Beyond? Didn’t find that one either, forgot to mention it. My Daughter found him in a Mystery Gold Pack at the League of Shadows Store Front in Crime Alley, Gotham. Probably pure luck but hey if you got the Coins worth the Gamble. I just bought Mystery Gold Packs at 3000 Coins a pop and ended up with them that way. It seems to be worth it so Far. My daughter has been doing the same and ended up with Batman Beyond and the Flash. I also got my Harley, Joker and Bizarro through Mystery Gold Packs. Definitely worth the Gamble when Grinding for coins is fairly easy. I got Batman Beyond from a Gold Pack at the League of Shadows Store in Crime Alley in Gotham City. My daughter did before I did, coincidence? Maybe…worth a shot. His resell is only 500 coins which is very low as he’s actually pretty damn good. Whoops my other post about this did go through but yeah it’s worth a shot. Hey, wondering if anyone has Batman, Superman, Wonderwoman from Gold Packs or can you only get them from Martian Man Hunter? I just got Darkseid and Crocs with the Gold Packs. Thanks for pointing it out. Has anyone found where Kyd Wykkyd is? If so, please share! He’s in Jump City – appears at night in the Shady District area, near the 24hr shop. Alfred’s Training Tournament is great for Grinding Coins. It’s fairly quick with level 20 figs and the Alfred fig has a resell of 2500 Coins! Pretty sure this is a bug, no way should he be worth that when he only costs 900 Coins in Alfred’s Shop at Wayne Manor. You can buy Alfred at his shop in Wayne Manor for 900 Coins and resell him exactly like the tournament Alfred for 2500 coins. If you’ve unlocked the hooded hood fig, you can buy him at the Arkham shop for 300 coins. you can then resell him for 1500 coins. I think these are the first game resell prices. Expect these to be patched soon. Can’t for the life of me find how to resell in the tower. Thanks! 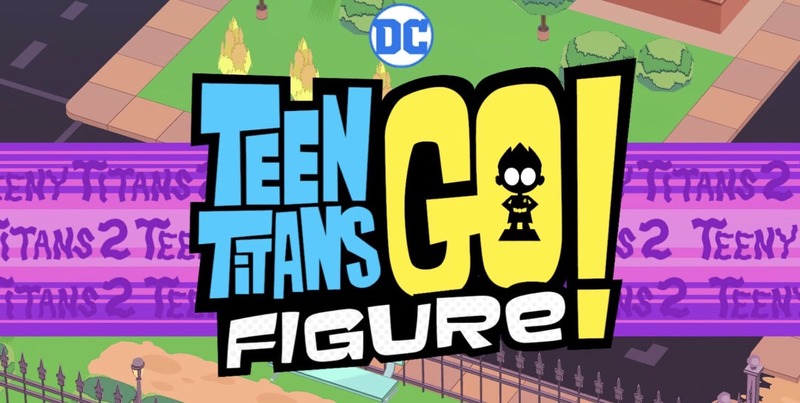 Go to your figure collection in the Teen Titans tower icon. Choose the figure you want to sell and press the Trash icon, it will then give you an option to sell the figure. After today’s patch (1.0.2), Alfred can now only be sold for $1,500. The patch also fixed a bug that had my son trapped on Aquaman’s island. does anyone know how to get batman beyond ????? You have to buy a couple of golden random figures that they sell for 3000 coins. If you read above, you will see that there are a couple of figures that can only be found that way. My son found Darkseid at movie magic. Martian Manhunter’s shop has mystery boxes that if you buy enough they eventually fill up the figure roster. You earn it in one of the quests or side missions. Where can I find Miss Martian? She’s in Metropolis – I found her during the day around one of the park/fountain areas.